Your favorite coffee and tea since 1896. Dedicated to serving the best coffee and tea coast to coast. Dedicated to providing the best beverage equipment available. Dedicated to getting our outstanding products to the right place, at the right time and in the right manner. Dedicated to providing an unmatched level of program service and support. Can your morning cup of coffee change the world? The Royal Cup team is excited to introduce ROAR, a line of bold, yet humbly exquisite coffees and teas. We think the best way to enjoy Royal Cup coffee is by drinking it, but have you ever wondered about other ways you can use coffee in your daily life? If so, you are in luck! Here at Royal Cup, we love sporting our best green outfits and celebrating St. Patrick’s Day! Over the past 123 years, Royal Cup has set the industry benchmark for generating sustainable social, economic and environmental outcomes. Big News: Royal Cup has Rebranded its Product Portfolio! As Valentine’s Day approaches, there’s still plenty of time to put together some truly memorable plans for your significant other. 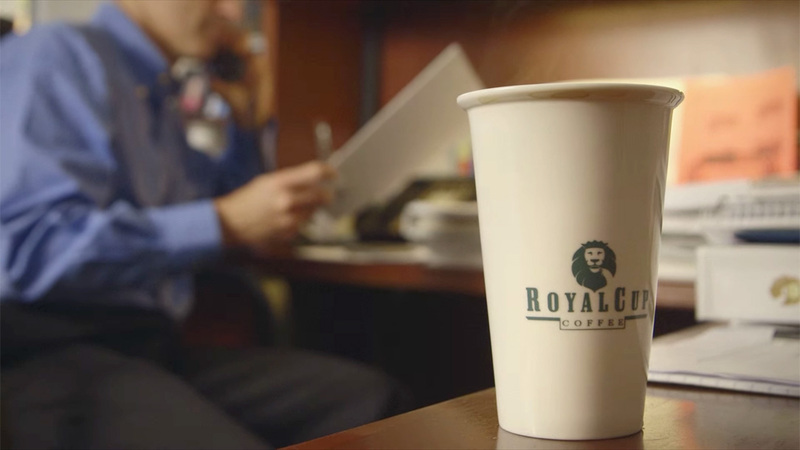 Every day, more than one million cups of Royal Cup coffee are enjoyed by consumers. In case you didn’t realize, today is National Gourmet Coffee Day – a day of celebration in honor of the crème de la crème of coffees! Here at Royal Cup, we’re driven to provide our customers with the highest quality coffees and teas.